ModSquad continues to recruit part-time Moderators. 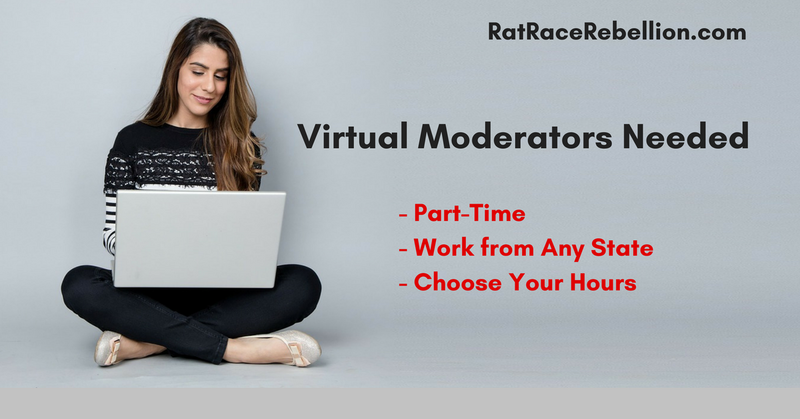 The company provides online Moderators to various clients for forum moderation, customer service, social moderation and the like. This may also involve chat support, ticket escalation or phone support. ModSquad was founded in 2007 and has over 10,000 Moderators (“Mods”) in its network. The last time we spoke to the company, they were especially interested in people who could take inbound customer service calls. However, not sure if that’s still the case. Per the company, “Pay generally depends on the market’s demand for your experience and skills, how much you’re able to work, and how well you perform. As you can imagine, Mods with hard-to-find native language abilities or mad tech skills can demand higher hourly rates. Your revenue is completely dependent on your schedule, performance and the type of projects on which you choose to work. The payment structure varies from client to client due to length of project, skillset desired and services needed.” Glassdoor reviews say the average pay is $9/hr. If this isn’t a fit for you and you’d like to find better options, be sure to check out our new course, “How to Find a Work from Home Job or Gig in 30 Days or Less.” Course members also have a private Facebook group where we give ongoing support. In Moderator reviews, ModSquad receives 3.4 stars out of 5 on Glassdoor. To apply for the job, click here. For their FAQ page, click here. BUT PLEASE NOTE – ModSquad’s site isn’t optimized for all browsers and devices. If you don’t see the job listing — or the application buttons at the bottom of the page don’t appear — you may want to try with a different browser or device. The last time we posted these openings, some folks were also getting erroneous “Job not active” messages through the “Start Here” button. So you may have to try different approaches. We ourselves have no control over the company’s website, though we have notified them of the access issues. May you be working from home soon! This entry was posted in Customer Service Jobs, Independent Contractors, Moderators, Part-Time Jobs, Work at Home Jobs and tagged ModSquad. Bookmark the permalink.